In a saucepan add the water and sugar and on medium heat allow them to boil until it gets to a 1 string consistency syrup. 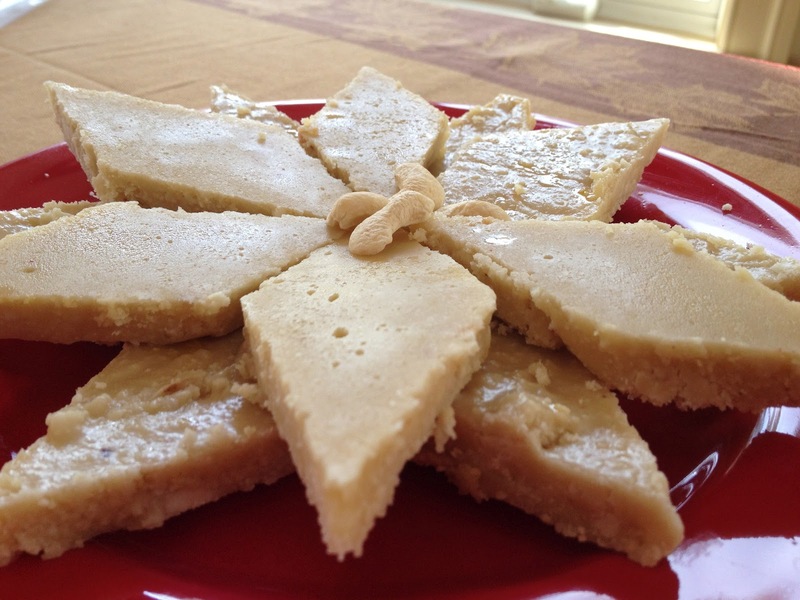 When the syrup is ready – takes some testing – add the saffron and the pour the syrup on to the cashews. 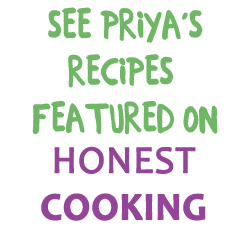 I have always found it tough to estimate when the fudge starts coming off the sides, and both times had to put it back on the stove after pouring it on the greased plate – no matter – this is something that gets clearer as you practice. Here’s to you Krithi and your little son – God bless him with every sweetness of life! I love to gorge myself of those calorific treats from time to time as well ! 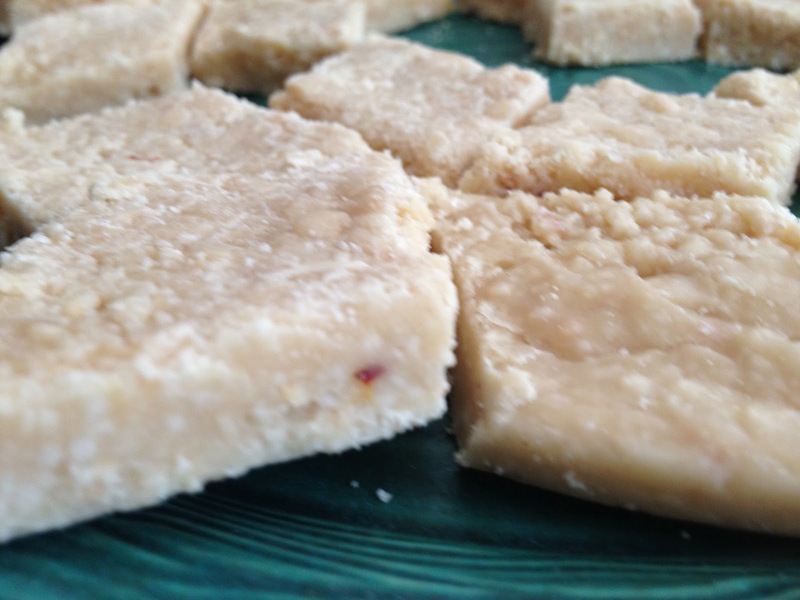 😀 I love cashews and these cashew fudge look utterly yummy ! 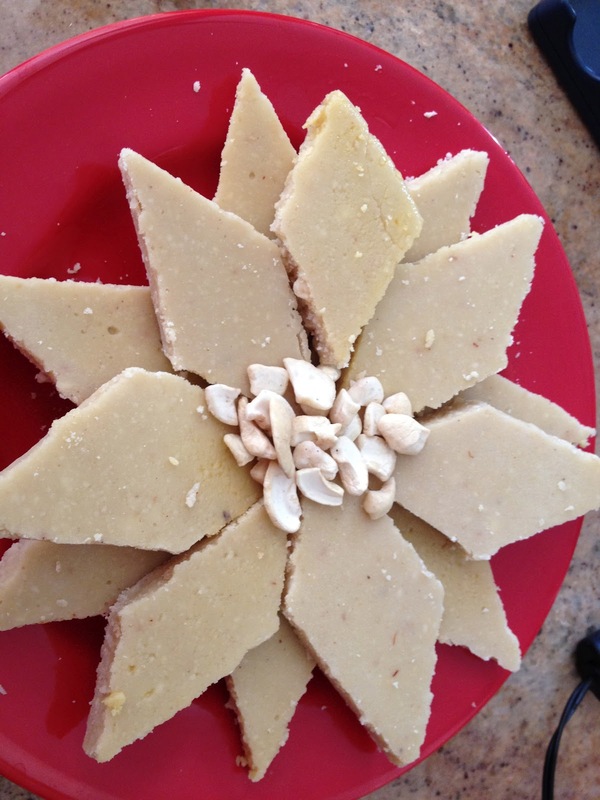 Kaaju Barfi looks YYummYY !!! Love this sweet.hope u enjoyed preparing it. Sinfully delicious. This is a awefully sweet gesture to Kirthi and Kevin! 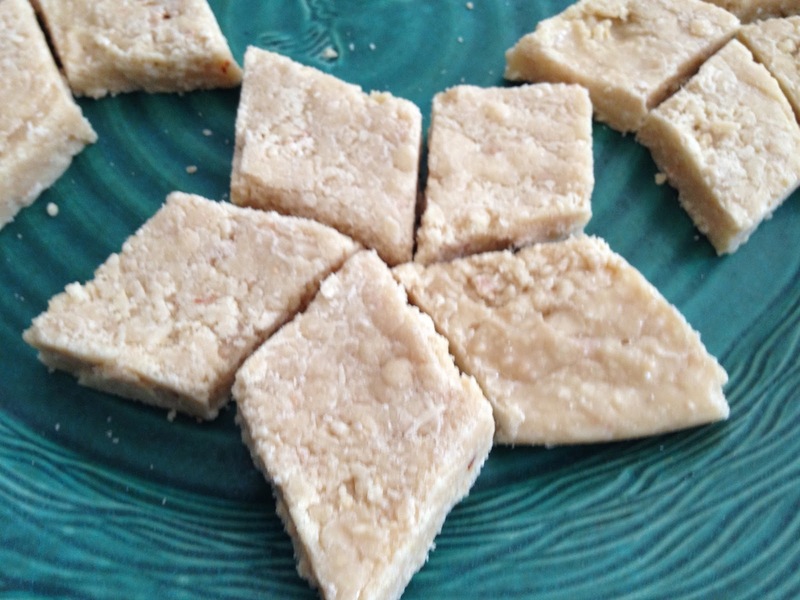 Nice gesture Priya..love kaju katli,looks delicious!! 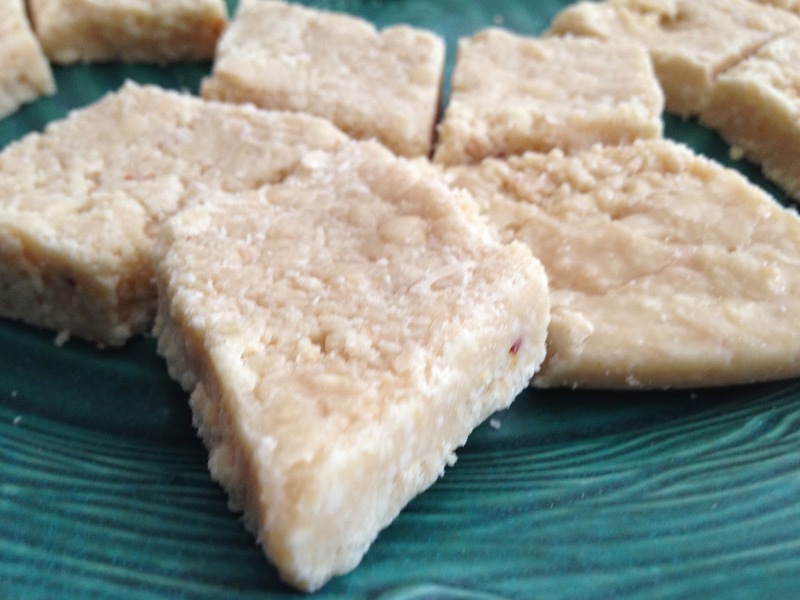 One of my favourite sweets……never knew it could be made at home . oh my gosh i LOVE cashews! this sounds right up my alley! 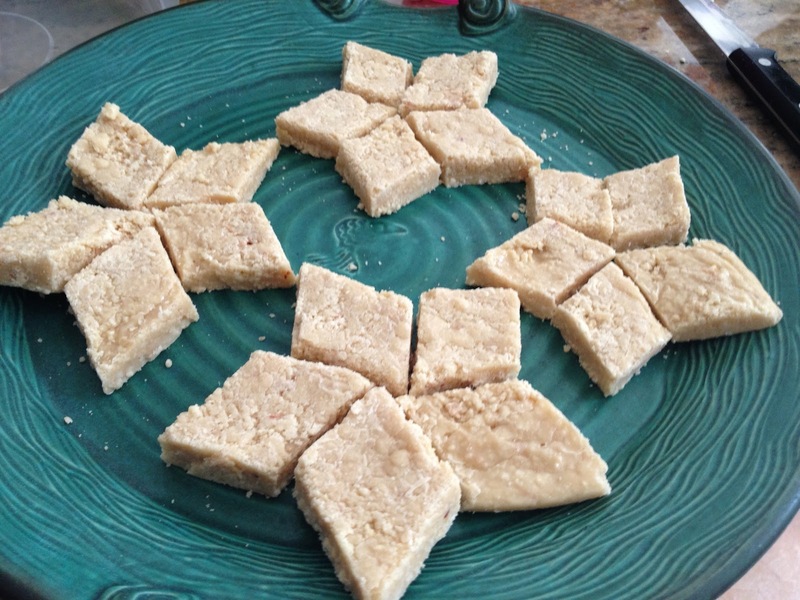 wow.. kaju barfi looks delicious… yummy..
aaah love this; have never attempted though ! 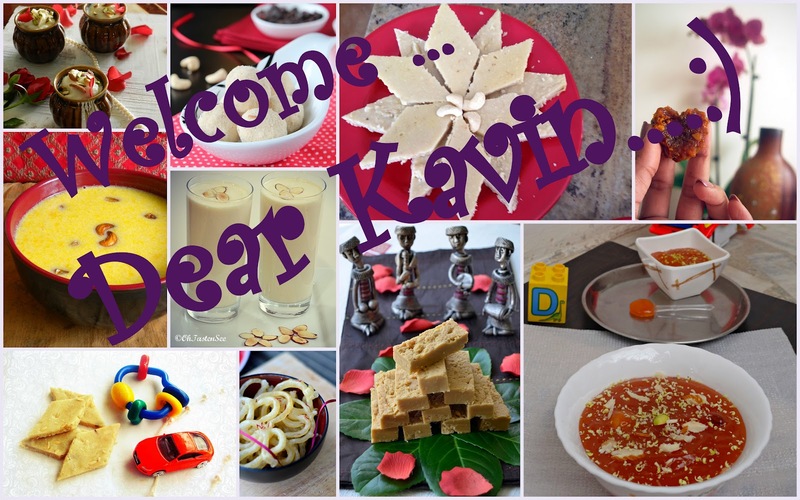 sweet treat to welcome kavin ! 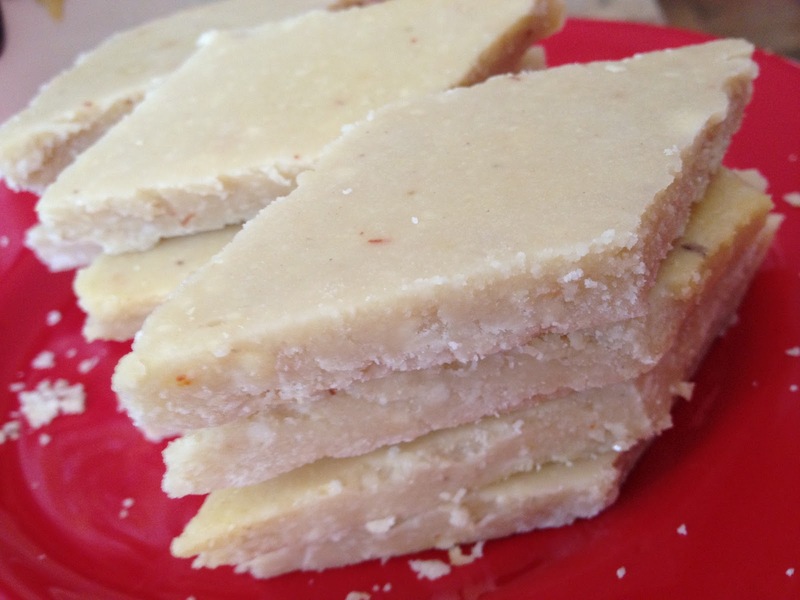 A great burfi to make for celebrations. What a treat..sweet delightful candy. mmmm….. yummy and delicious. Sure will try this out.